Graeme Kerr, is the co-founder of ScotSail which is one of Scotland's premier yacht charter companies. Over the last few years, Scotsail has been using Zoho Invoice for all their invoicing needs. Graeme co-founded Scotsail with his uncle about 10 years back. They have been in sailing and powerboating business since the 1990's. Scotsail's parent company is 1st Scotsail Training, offers training on powerboating, sail cruising, sailing safety etc., to name a few. They have a 20-member team and operate from 2 offices, one in Scotland and the other in England. Scotsail is based in Largs, Scotland which is 30-minute drive from Glasgow and Prestwick international airports. The primary focus of our business is RYA Training, with yacht charter being secondary. 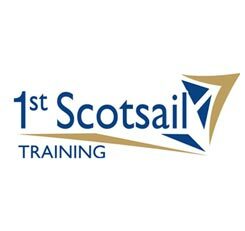 Our parent company, 1st Scotsail Training operates two Royal Yachting Association(RYA) recognized training centres, one in Largs, Scotland and the other is in Preston Marina, North of England. We provide shorebased training on both these centres which will be a very fun endeavor for the attendees. Yacht chartering, Corporate entertainment, Yacht management, Yacht deliveries etc., are some of the services that Scotsail offers. If you are a watersport freak, watch Scotsail's video here. Scottish summers are popular among the Europeans and are getting popular even among Non-Europeans nowadays. What I'm trying to say is we're extremely busy during summers. Our clients love sailing in Scotland, and we're here to assist or train them during their stay here. Most of the employees here create and send invoices to our clients. Being a 20-member team, we need to be really efficient on both serving our customers and on expanding our business. ​Prior to using Zoho Invoice, we tried Microsoft Excel, QuickBooks and Sage Accounting. All of them were not easy to use and can't be used outside my office. On the pricing side, QuickBooks and Sage were expensive as well. So I was looking for a cost-effective online invoicing solution because I travel a lot within the UK. We use Scotnet, which is a custom intranet application based on WebEx WebOffice Platform, for managing customers. So we were running two or three systems parallely for managing our bookkeeping related activities. It was time consuming and I was not able to concentrate on my business expansion plans. We generate around 100 invoices every month and for my business, I was looking for two important aspects regarding invoicing. First, generate PDF invoices and email it to clients. Second, automate payment reminders as most of our customers make only initial payments. So, basically they are to be reminded about the balance payments. Having tried so many different solutions, I was particular about trying an online invoicing solution. After so many months of search I found Zoho Creator first. Soon, I came to know that Zoho also has an invoice software called Zoho Invoice and started using it immediately. I also tried Zoho Chat and it's really cool. We now use Zoho Chat to communicate with the customers. Zoho Invoice satisfies my business needs and exactly fits in the bill. Now I don't have to waste time for following up with my clients regularly for balance payments. It's helping me in achieving scalability and now I have enough time to take care of my business. I love using Zoho Invoice's iPhone app and would love to explore other Zoho applications as well. Also, I'm soon planning to migrate to Zoho's accounting software for our bookkeeping and invoicing needs. If possible, I would like to use Zoho Invoice and Zoho Creator together. Going forward I would like to bank on Zoho's applications for all my business needs and get rid of all other systems running parallely. I have been sailing for years. Unsurprisingly, my favorite pass times are sailing and boating. When I get time, I love walking around my office out here in Largs.